Premiere. �A powerful and provocative drama about an all-female jazz band touring the Deep South during World War Two. Winner of the 2009 Essential Theatre Playwriting Award. The post-reconstruction Jim Crow laws in the south have always been an easy target for patronizing northerners to aim their self-righteous indignation arrows at. Essentially segregation encoded into the legal system, these laws provided the means for bullies and bigots to openly terrorize anyone who didn�t pass their rigid racial and religious muster. What�s not so easy to see are our own sub-conscious �Jim Crow� laws � those expectations we all have that are just as rigid, just as cruel in their effects. Starting off in a northern jazz bar, we see a group of musicians sharing a drink and a flirtation with a waitress. The men joke and brag and carry their masculinity as boldly as a fragile statue. The waitress is tired and not in the mood for their games. As the party breaks up, we follow the hot shot young sideman back home, to discover a secret that the band will probably never know. Jazz is, after all, a man�s world. And a leering and bullying policeman is determined to see that the laws of the land are carried out. If I have one complaint about this piece, it�s that the prologue seems disconnected from the main body of the piece. A stronger connection could have been easily devised -- since they�re played by the same actresses, why not make the Sideman and the Waitress actually be Vi and Peggy? And, if the prologue band is choosing its name at that time, why does the dressing room set feature a faded poster bearing their name only a few months later? Still, the piece is united by the theme of �Passing� � Passing for Male, Passing for Black, Passing for Christian, Passing for Human � and by the presence of musician Delesa Sims, underscoring all with her hot sax and cool moods. Politics and Themes aside, this is a play about music, and about people who love that music, women who will do whatever it takes to play it (wherever it takes them). Vi is fully aware of the risks involved with returning home � she KNOWS what these people are capable of � yet the lure of the music is simply too much to resist. Director Betty Hart has orchestrated a beautifully realized ensemble. Enisha Brewster embodies Vi with a world-weary acquiescence that centers the play and grounds the angry rants and flourishes given to Peggy by DeAndrea Crawford. Rachel Bodenstein gives Rhoda a funk and rhythm that should fully convince anyone of her fictional heritage, unless, of course, they were predisposed to think the worse of anything told to them in a black musician�s dressing room. And Daniel Burnley gives the red-neck policeman a loathsome quality that makes us dislike him at sight (he is so close to being a stereotype), but he has a moment of grace early on that makes his later actions even more difficult to watch. Nadir Mateen does yeoman work in a handful of other (token) male roles. As this is part of a repertory of plays, Rob Hadaway�s set is spare and portable (easily moved wall pieces and furnishings). Yet, in combination with Trish Harris� lighting, it is very evocative of the period, and serves the story very well. And, the final confrontation is edge-of-seat tense, edge-of-reason cruel. The resolution depends solely on how well Ms. Meli and the cast have created these characters, how well Peggy has assessed the policeman�s fears and assumptions, how well Ms. Sims� music captures and builds the suspense. That the scene succeeds so well is a testament to the work of writer, director, cast, and crew. 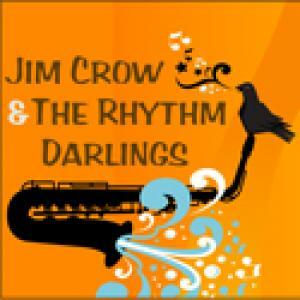 �Jim Crow and the Rhythm Darlings� is a short (80 minutes) riff on a familiar theme. It starts out with one group of characters, but quickly passes on the melody to another, showing us ecstatic and dramatic variations, a literary counterpart to a hot jam session, with the key changing with a flick of a make-up sponge or a policeman�s baton. It�s a play about �passing� that you would be foolish to pass on by. You're making me REALLY sorry I had to back out on "Blood Knot" Wednesday night. That being said (and probably for that reason), I think I liked "Jim Crow" more than you. But, I'd like your opinion on a structural detail -- as much as I liked the prologue, it did provide a bit of a disconnect with the rest of the play. I thought that is a slight tweak making the waitress actually be Peggy and the Sideman be Vi, it would have made better continuity, AND given Vi and Peggy a little more dimension. Thoughts? Brad, I share your view that the first scene and the main play needed clearer connection. That the same actors play similar but not identical characters needs resolution. The concept of the girl jazz player in the first scene and the dilemmas posed by her gender could use lots of development. Audience members could be pretty mystified by the whole thing if they have not pre-read the blurbs about jazz as a man's world. But some of us probably enjoyed the cute striptease regardless! It was partly the disconnect between the two parts that made me think "written for a TV series." But having never attempted to write a play or TV script, I'm reluctant to offer much more reaction on structure. Either Curt Holman or the AJC made the off-hand comment that the prologue was set "a generation" earlier than the main section (probably based on the faded poster in the dressing room). Yet I remember distinct references to WWII in the prologue. Is that my middle-age memory acting up? Did you get the impression we were looking at two distinct time periods? If that comment is correct, I'm not sure if that bespeaks lack of attention on my part or lack of attention to detail on the playwright's.